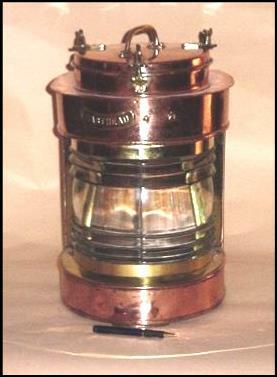 Good Copper Ship’s Masthead Electric Lamp. Not a conversion but original electric. Copper shows signs of its working life with some pitting. It has been cleaned, polished and lacquered so that it no longer requires polishing. The lens is excellent with none of the usual chips and cracks. A decorative and useful item.